I am so excited to be participating this year in Smeared and Smudged 31 DAYS OF HALLOWEEN 2013! Did you know that this is their 5th annual Halloween/Day of The Dead celebration? How exciting is that!! Here is my next project --- earrings. I have no idea who to give credit for these digi images. I purchased them from Etsy and can not find the store on there any more. Now keep hopping along visit the Wicked Blog Roll in my sidebar to start from the top. 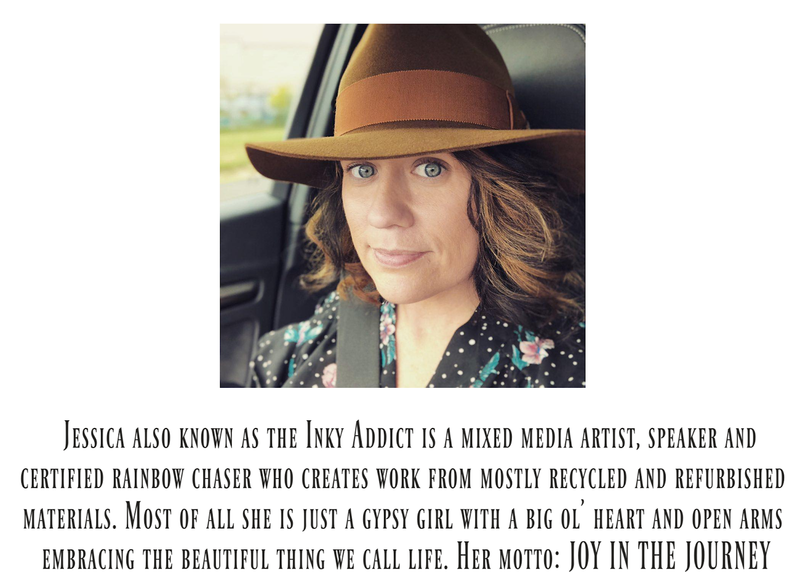 Terra's blog has all the juicy details of how to win fabulous prizes all month long! Are they stamped on clay or plstic? Great variety. Love all the different colors and images. Very cool! I really like all the different colors. Great jewelry. 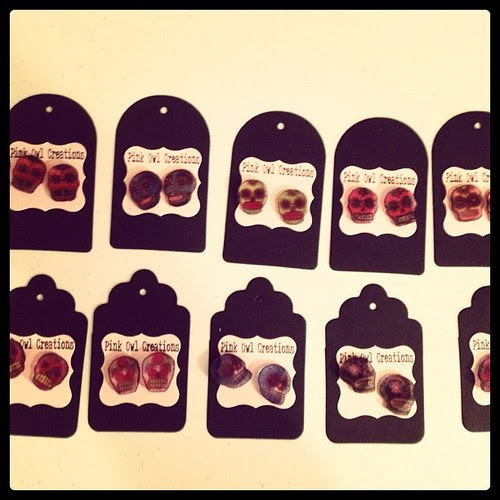 Spooktacular little earring collection! Love the images! These are so cute Jessica. Are they clay or shrinky dinks? I can't tell from the photo. Love your packaging also. This is an awesome assortment of earrings - colors and shapes! what fab little earrings....lucky somebodies! REALLY CUTE EARINGS!!!!!! Love them! Wow! You are amazing! I really wish I could wear jewelry. Great job!